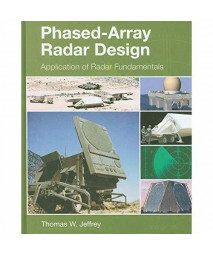 Radar Principles for the Non-Specialist (Scitech Radar and Defense)Radar Principles for the Non-spec.. This handbook outlines the factors that must be considered in designing circuits, equipment, and sys.. The Finite Difference Time Domain Method for Electromagnetics: With MATLAB SimulationsThe scope of t.. This book explains techniques and examples for designing stable amplifiers for high-frequency applic..
EMI Troubleshooting Cookbook for Product Designers provides the 'recipe' for identifying why product.. The fourth volume in the set, Analog Circuit Design: Designing Waveform-Processing Circuits, builds .. Fundamentals of Electromagnetics with MATLABVirtually every four-year electrical and computer engine..
HF Radio Systems and Circuits (Electromagnetics and Radar)A comprehensive reference for the design o..
Radar and Electronic Warfare Principles for the Non-Specialist (Electromagnetics and Radar)This book..
HF Filter Design and Computer Simulation (Electromagnetics and Radar)A book for engineers who design.. This book presents the basic principles of transistor circuit analysis, basic per-stage building blo.. This book offers comprehensive coverage of the optimum design of a wide range of FO systems. The aut.. This extensive reference book--originally published in 1987--includes data on systems and techniques.. The optical fiber industry has experienced a period of consolidation and reorganization and is now p..
2008+ Solved Problems in Electromagnetics (Electromagnetics and Radar)This extremely valuable learni.. Fundamentals of Electromagnetics with MATLABFundamentals of Electromagnetics with MATLABSpecificatio..
Antennas: Fundamentals, Design, Measurement, Deluxe EditionThis comprehensive revision (3rd Edition)..
Phased-Array Radar Design: Application of radar fundamentals (Electromagnetics and Radar)Phased-Arra.. This is the definite reference text on dielectric resonators used in filters and oscillators. This s..